How do you market an Olympian without mentioning the Olympics? That's the challenge facing companies such as Under Armour (UA), Gatorade and General Mills (GIS). Even though these companies have endorsement deals with these athletes all year round, they can't call them Olympians in commercials or social media posts during the actual games. That's because the brands aren't official sponsors of the Olympics. It definitely helps to have athletes who are easily recognizable. Gatorade has Usain Bolt and Serena Williams, and has already featured both of them in commercials. 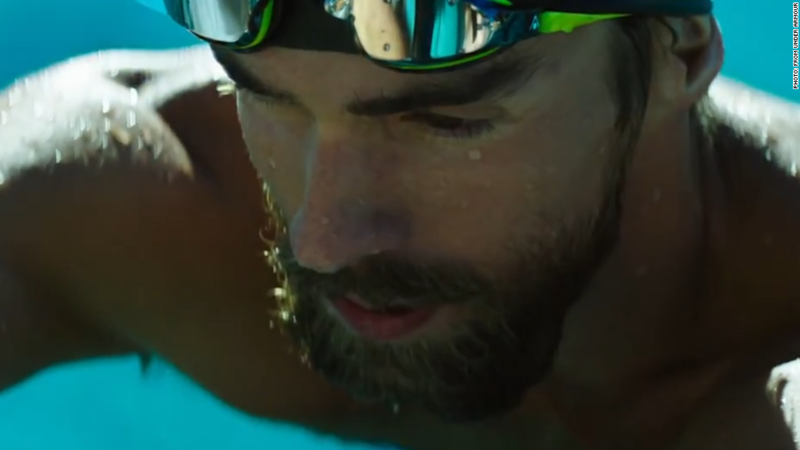 Under Armour (UA) has another well-known Olympian -- swimmer and 18-time gold medalist Michael Phelps. Go Pro (GPRO) has aired a mini-series featuring 4-time Olympic gold medalist Missy Franklin, and General Mills (GIS), which owns Wheaties, has promoted her on social media. Asics endorses 3-time Olympic gold medalist Kerri Walsh Jennings and Olympic wrestling champ Jordan Burroughs. And Mondelez International (MDLZ), which owns brands from Nabisco to Cadbury, has soccer superstar Alex Morgan -- one of the biggest faces of U.S. Women's Soccer. This year is the first that Olympic athletes are allowed to appear in commercials for unofficial sponsors during what is known as the blackout period, spanning from a few days before the games start until a few days after the closing ceremonies. In the past, Olympic athletes could only appear in commercials for official Olympic sponsors such as Coca-Cola (CCE), Visa (V) and Nike (NKE) during this time. For the 2016 Rio Olympics, the blackout period runs from July 27 to August 24. Last year, the International Olympic Committee changed some of its advertising guidelines, opening it up to more companies. Still, there were some caveats. Unofficial sponsors had to apply with the US Olympic Committee by January to run any ads anywhere featuring the Olympians. The unofficial sponsor also had to pledge to run their ads continuously from the end of March until the games. Additionally, the ads can't use any Olympics branding or related words. A spokesperson for the US Olympic Committee said the change was "a new opportunity for athletes to keep their long-term relationships with companies going during the games." In the past, athletes couldn't appear in commercials for unofficial sponsors during this period. He noted that it's still a work in progress though. "When the games are over we'll look at it and see what worked and what didn't," the spokesperson said.